Sometimes known as Zeteo, Lady Elizabeth Anne Mould Blount was a vocal advocate of Flat Earth theory in late 19th and early 20th Centuries and one of the founders of the Universal Zetetic Society. She worked extensively with Albert Smith ('Zetetes') to propound their Flat Earth viewpoint. Lady Blount was a devout Christian and her writings used a mix of scriptural and experimental arguments to support her views. Blount's wealth and social status allowed her access to England's social elite. Her Universal Zetetic Society's first membership roster includes an archbishop, major-general, scholars and a number of other aristocrats. By practically all accounts, Lady Blount was likable and good-natured, balancing out some of the more contentious members of the Flat Earth movement at the time. In addition to her work with the Universal Zetetic Society, she was also poet, songwriter and wrote pamphlets on a wide variety of subjects. Blount was a progressive thinker and humanitarian. She was a vegetarian and - like Marjory Johnson - an anti-vivisectionist, often using the Earth Not A Globe Review to "cover these subjects in flowing prose and verse, alongside references to her work as president of the Society for the Protection of the Dark Races". 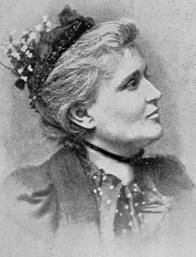 In 1898, Lady Blount published a novel titled Adrian Galilio, or a Song Writer's Story, a fantastical story about an aristocrat who escapes her unhappy marriage and reinvents herself as a world-famous Flat Earth proponent who "tours Europe giving elaborate lectures on cosmology, the creation, true love and hell". This page was last modified on 3 May 2014, at 11:06.